The location is definitely a bonus, staff were friendly and helpful. We liked the big pool and the flavor of the food. We booked for our honeymoon, really wonderful accomodation and superb staff, good set up, great candle light dinner and don’t forget to try their floating breakfast. private pool was amazing, semi outdoor bathroom was a treat, villa was very spacious and reasonably prices for the quality. The villas are Very spacious and the staff are wonderful. Everything was perfect! Location, atmosphere, it's quiet and peaceful in the villa, all the staff are very friendly and helpful, so tropical atmosphere, lots of plants and trees .. the private pool is nice. staff were very friendly and helpful. We were celebrating our 30th wedding anniversary and had a candlelight dinner in our villa. Food was prepared in our villa by leo and served by Eka fantastic night. Thank you for the great night. If you are considering staying at Desamuda Village then I would highly recommend that you hit the book button - you won't be disappointed. Desamuda Village offer's an airport shuttle pick up, awesome breakfast, central location so close to anything you could want, friendliest staff in all of Bali, beautiful serene setting and so much more. We booked the pool villa and loved the privacy of having our own pool to use whenever we wanted. The villa was very neat and clean - more traditional decor than modern but very nice and enjoyable. 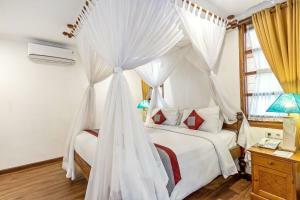 We would recommend this accommodation to our friends and family visiting Bali and intend to come back here again next time we are in Bali. Thank you to Desamuda Village for a wonderful stay and making our time here so enjoyable. Excellent service, worth the price and it's really clean. My fiance and I accidentally left some of our clothes in the room. We just realized that after we're back home, the accommodation arranged a free courier for our stuffs. We'll be back definitely to desamuda next time l.
Good location and the staff is very nice and helpful. 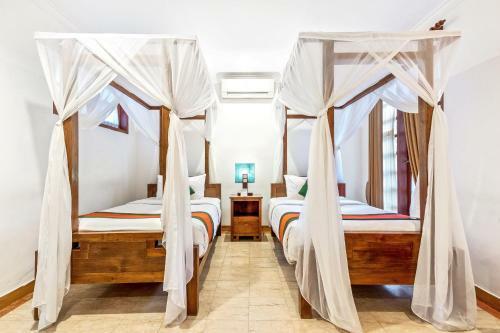 Lock in a great price for Desamuda Village – rated 8.9 by recent guests! Desamuda Village This rating is a reflection of how the property compares to the industry standard when it comes to price, facilities and services available. It's based on a self-evaluation by the property. Use this rating to help choose your stay! 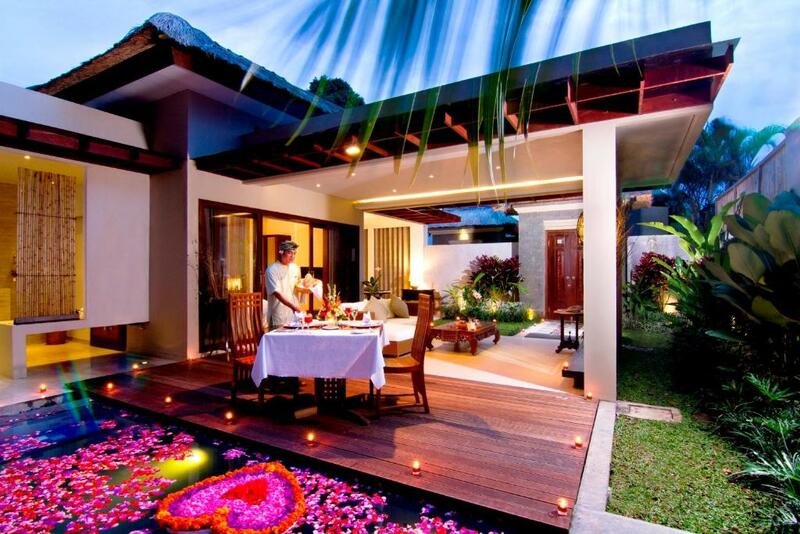 Set within landscaped tropical gardens, these villas feature modern Balinese decor and thatched roofs. Desamuda Village features a spa, gazebo and 2 outdoor pools. A restaurant and bar are also available. 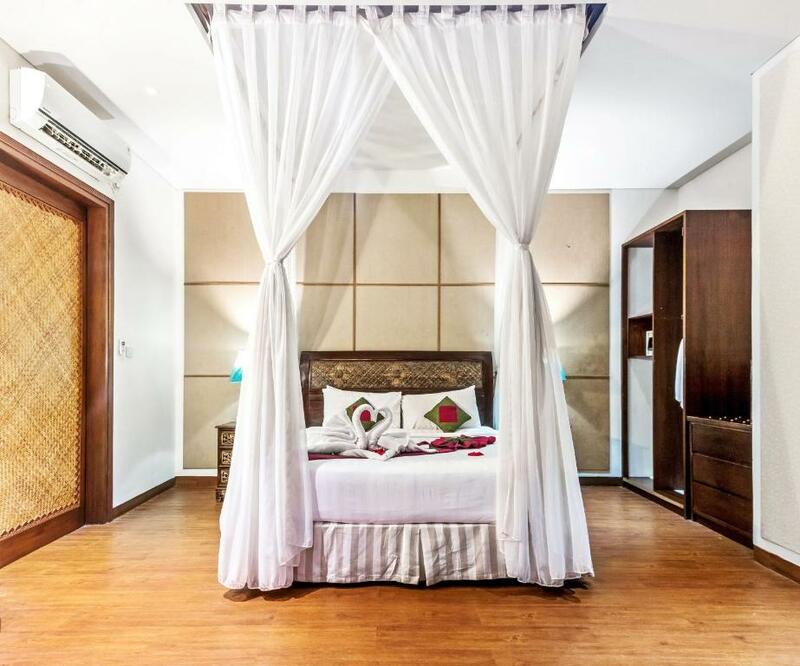 Located in the heart of Seminyak, Desamuda Village is 5 minutes' walk from shopping and entertainment options. 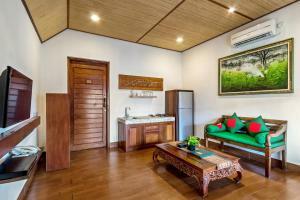 The property provides free shuttle service to Kuta area and free WiFi access in all areas. Overlooking the gardens, villas at Desamuda feature a kitchenette and modern comforts including a flat-screen satellite TV and a safety deposit box. Private bathrooms come with shower facilities and a bathtub. Some villas come with private pools. Floating breakfast can be served in the private pool based on availability. The Rice Table Restaurant serves a wide selection of Indonesian and European dishes, while Dots Cafe offers international selections. In-room dining is possible and drinks are available at the hotel’s bar. Desamuda Village is 1.7 mi from KU DE TA and 1.9 mi from Potato Head Beach Club. 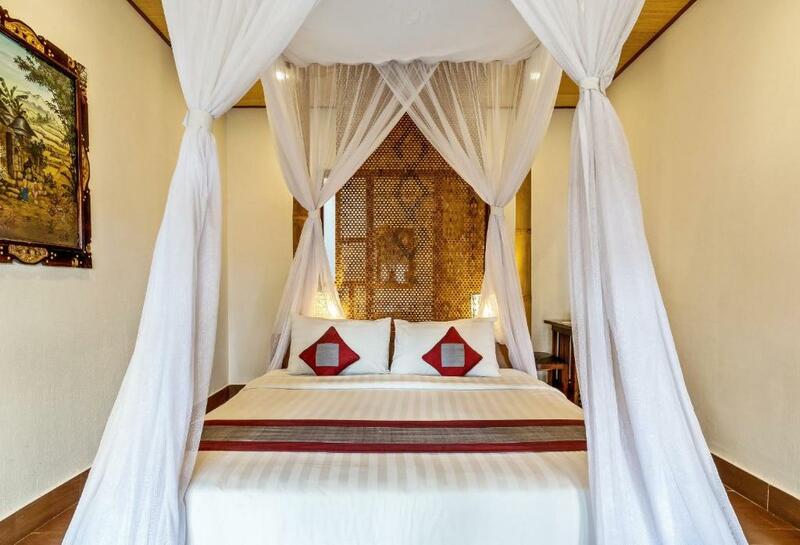 The resort is a 20-minute drive from Ngurah Rai International Airport. 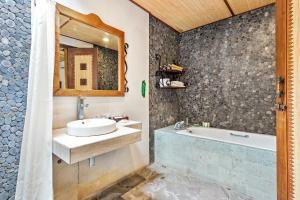 뀐 Located in the real heart of Seminyak, this property has an excellent location score of 8.9! 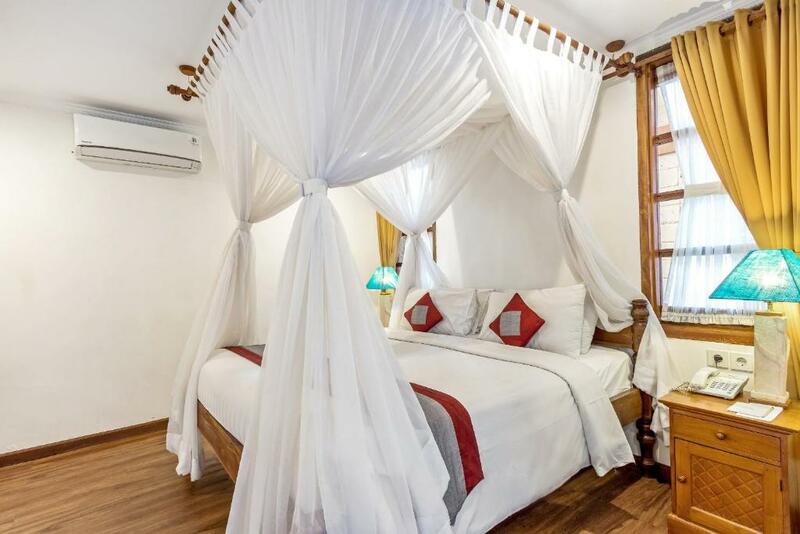 When would you like to stay at Desamuda Village? Villas feature a kitchenette, a flat-screen TV and a safety deposit box. The private bathroom comes with shower facilities and a bathtub. Guests staying for a minimum of 3 consecutive nights gets free return airport transfer. This spacious villa features a private pool and a separate living area with flat-screen TV. The private bathroom comes with shower facilities and a bathtub. This spacious duplex villa has a dining room, an outdoor bath and a private pool. The private bathrooms come with shower facilities and a bathtub. 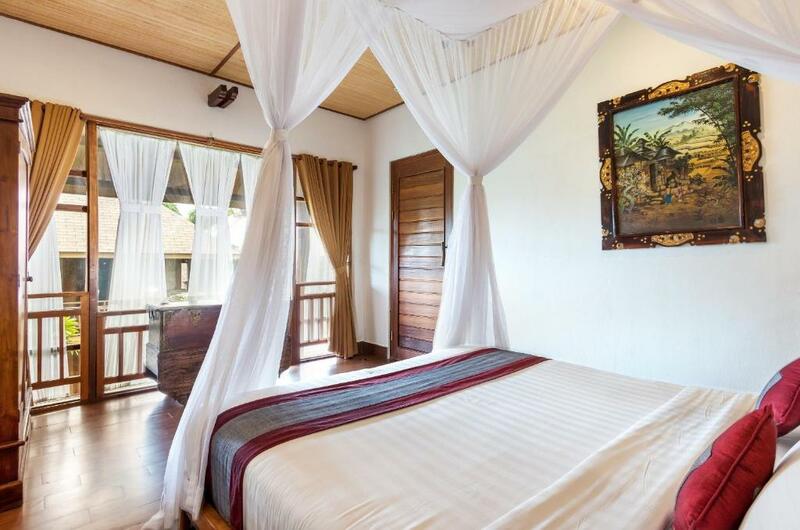 This spacious villa features 3 bedrooms, a separate living area and private pool. The private bathrooms come with shower facilities and a bathtub. Offering bigger space, this villa features a private pool and separate living area with flat-screen TV. The private bathroom comes with shower facilities and a bathtub. This villa has air conditioning and bathrobe. Please note that the Guests who book this Villa will share the pool and living room with other Guests. House Rules Desamuda Village takes special requests – add in the next step! Desamuda Village accepts these cards and reserves the right to temporarily hold an amount prior to arrival. Please inform Desamuda Village of your expected arrival time in advance. You can use the Special Requests box when booking, or contact the property directly using the contact details in your confirmation. Breakfast was great main pool was excellent and bed was sensational. Amazing staff, so welcoming and friendly. Very good location. Great location, venue and staff also great. Would definitely recommend this place. The hotel service was perfect, very friendly, funny and smiley :) We really enjoyed our stay. Thank you very much for the clean rooms and service. The property itself had a very beautiful garden and pool area. We enjoyed the floaties in the pool. The property has perfect location. Everything is near and within walking distance - beach, good restaurants, shopping street etc. And lets talk about the breakfast - fresh pastries, fruits and they make eggs exactly to your taste. Loved the set up and the staff are fantastic! Loved the independence of a home and pool! Sooo comfortable to stay in! I really appreciate what we got for the money. We booked honeymoon package and it was really nice. We had really beautifull private romantic diner with private pool full of flowers. We got full body couple masage and int was professional and nice. Staff was great. Hotel provided free airport shuttel for us. The Breakfast spread could have been better, options for vegetarians were hardly available (luckily we have eggs). The Staff needs to be reminded of the requests made/order placed/services opted for. The Villas are placed in the resort in such a manner that there is privacy/peace to all the guests. The staff was very polite & sweet, the room was clean. The private pool (which is decently sized unlike plunge pools) is just the best thing in room.